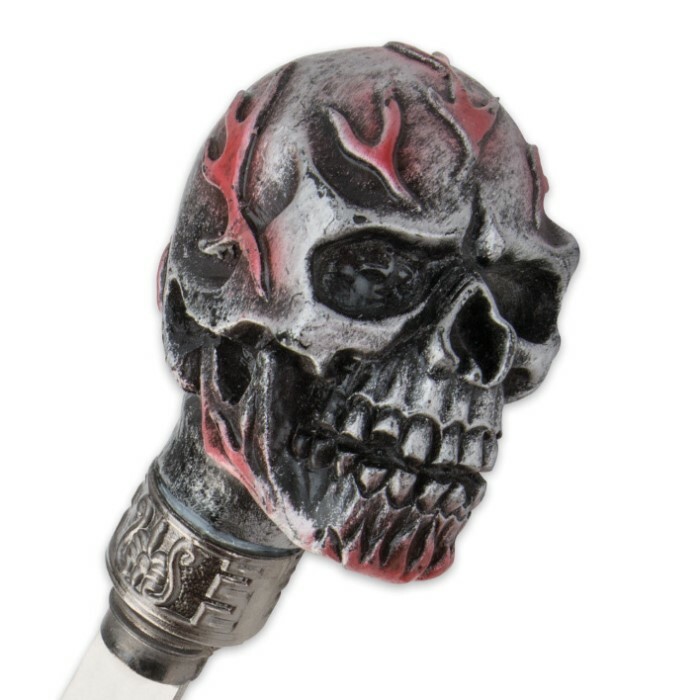 Skull Head Skeleton Sword Cane | BUDK.com - Knives & Swords At The Lowest Prices! 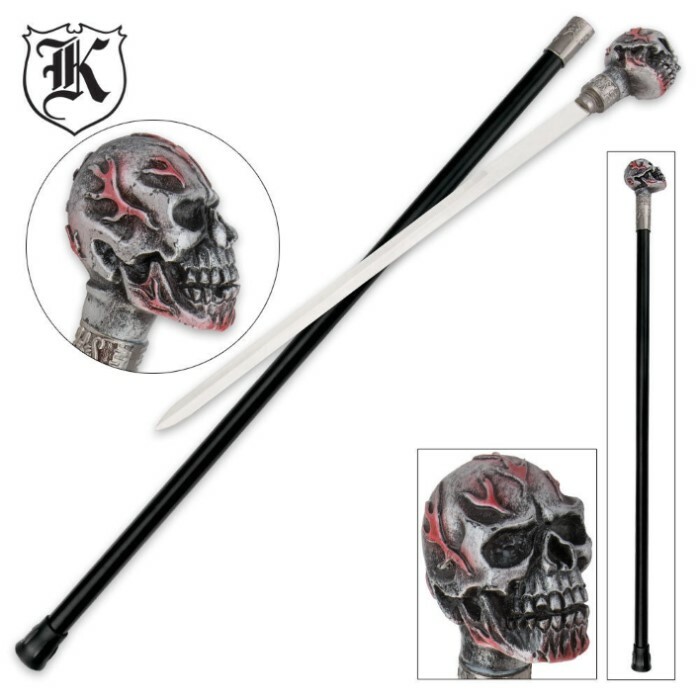 Tote this sword cane anywhere you go for personal defense! The resin skeleton head at the top features red tinged fiery blood vessels. The blade is constructed of stainless steel while the steel sheath offers matching resin fittings and a rubber foot. 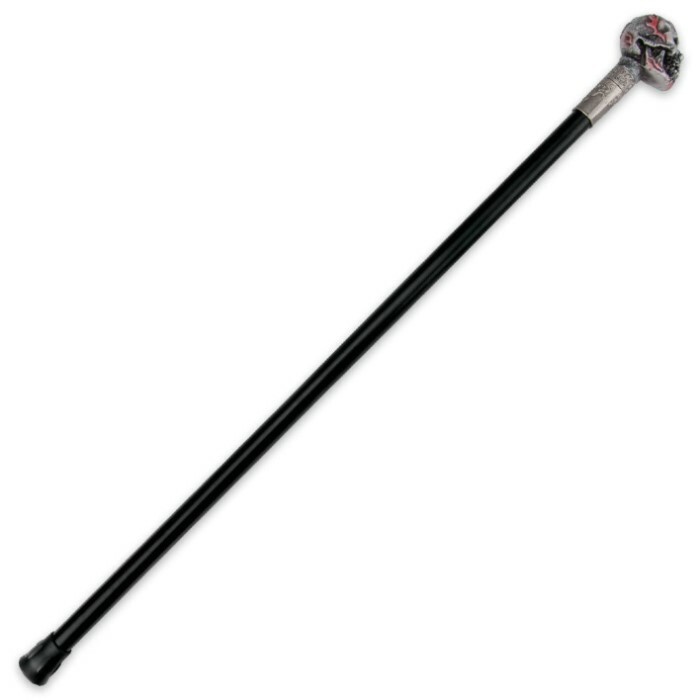 Order your sword cane today and dare someone to mess with you!